Waarom behalen zo veel hoogbegaafden geen diploma? This video really struck a cord. We tuned the world for the average. However, if we want to make a world that is inclusive of everyone we need to accommodate for people outside the average. Intelligence is only one example. And we should prevent ourselves from judging if someone falls above or below the average. That is what diversity and inclusivity are all about. Posted on January 29, 2018 Categories UncategorizedLeave a comment on Waarom behalen zo veel hoogbegaafden geen diploma? I’m in London. As a dutchie I love my bicycle and riding it. So what do you do? You ride a bike in London. The software of the renting poles can be improved qute a bit. I tried to rent 2 bikes. One for me and one for my girlfriend. Everytime I tried that the software crashed on me. Luckily renting one bike worked. then I used the app to rent another bike. So we went on our merry way. The pricing is very fair. You rent one bike for 24 hours. This costs £2. Every trip with it within 30 minutes is free. Any longer and you pay £2 per 30 minutes. So as good tourists we kept all our trips within 30 minutes and could ride our bikes for £4 all day. London isn’t Amsterdam. It feels really dangerous to step on a bike here, but it is getting better. There are now these things called cycle superhighways. In the Netherlands these ‘highways’ would be called regular bike paths. And the highways end fairly randomly and then you have no idea where you are going. It feels too much like an expedition. Which is a good for a tourist, bad for a commuter. But while the tourist sees all the streets for the first time. The commuter can explore all roads and plan a safe route. Then biking becomes a real option. As an alternative to the hot London underground. But the best thing is to combine those two. The cycle superhighways have good signage where underground stations are. I think cycling in London is here to stay. I really look forward to visiting London again in a few years to see how everything had improved. In the Netherlands we are spoiled, and it is really exciting to see other countries following the lead. Also, see the Reddit thread. The original video is also very cool. I don’t have any kids, but this part of the most recent Tim Ferriss podcast is awesome. Even though the entire podcast is good, this part especially stuck with me. 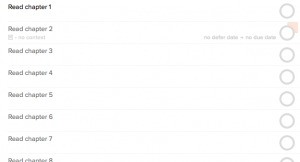 I’m an avid user of OmniFocus. It gives me the ability to manage all my current projects and to prevent me from forgetting things I want to do. For example when I pack for a trip I use the awesome Templates.scpt AppleScript to generate a new project. I worked around this by creating a template that has 25 sequential tasks, from “Read chapter 1” through “Read chapter 25” because most courses have less than 25 chapters. 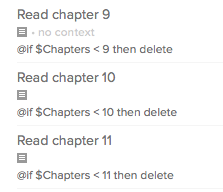 Then on every task I added “@if $Chapters < 1 then delete” through “@if $Chapters < 25”. It takes a relatively long time to scaffold a project this way, but while it’s working I can focus on doing something else. 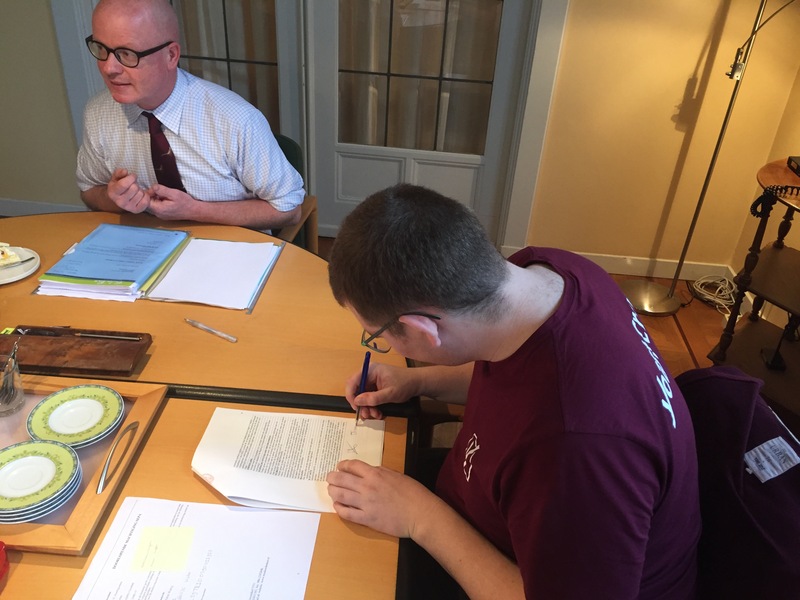 On friday I signed the papers that make me, or probably more the bank, owner of a lovely house in Wijchen. Both my brothers and my parents were present to experience this with me. One of my brothers asked “Do you feel different now that you signed the papers?” It’s something I thought about myself, rationally yes. The owner of the house changed two days ago, but emotionally I bought this house in two months: From the moment of agreeing with the seller on a price until last Friday. The amount of signatures you have to put on paper is astonishing. They really don’t want you to take it lightly. Today I will be buying a bed and hopefully move in next week. 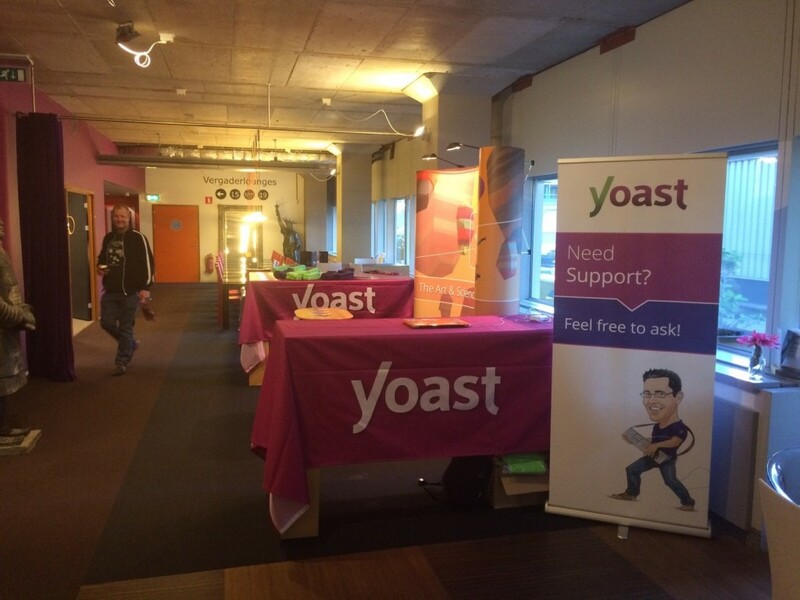 My first WordCamp while being part of Team Yoast. 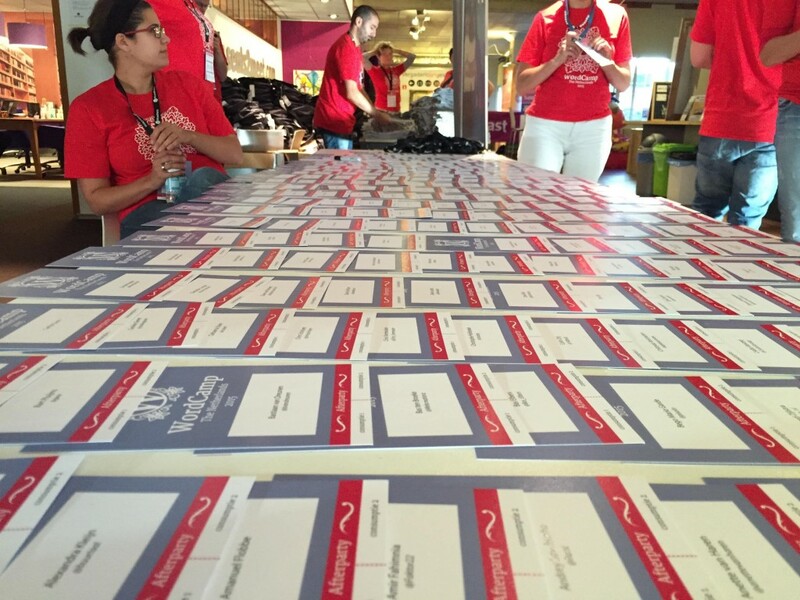 I volunteered just like WordCamp Europe and I loved it so I will be volunteering more in the future. ‘SOG’, a dutch abbreviation to designate you’re not working on your study. Literally translated it means ‘Study Evasiveness’. It is a weird phenomenon, you studied for a long time (you think it’s a long time, but it’s actually just one hour) and then you get distracted by something, it could be anything. From that moment on you can’t concentrate on what you are supposed to study, you’re just doing other stuff. Some people watch youtube video’s, other people press the next button on their music player too much (like me) and what most people do is refreshing all sorts of sites too many times, Facebook addicts anyone? But you’re not doing it with the intention to not study, you’ll think “Oh, I will do this just for a few minutes and then I’ll go on studying”. If you’re playing a game you’re actually doing something different then studying with the intention to game. The same is with working, you’re not working because you need to study. You’re not gaming, working on a project or doing something with your family because you need to study. You’re not studying because you don’t have the self discipline to do it. Which comes down to the fact that you’re actually doing nothing. It looks like Crafty will be going back to basics in terms of Canvas drawing for the next version.